Pilates, is a system of exercise that engages the body and mind through a series of controlled movements. Created by Joseph Pilates in the early 1900's, this form of exercise is a subtle blend of the essentials of martial arts, yoga and western forms of exercise. It was initially adopted as an effective form of recovery from injury by professional dancers in the United States. Now, it has steadily grown in popularity around the world. The goal of Pilates is to increase one's core strength of the body such as the abdominal muscles, lower back and buttocks. Pilates incorporate extensive work on a mat and machines. On the other hand, Yoga is considered to be more of a lifestyle and doesn't call for focussed exercise, paying attention to breathing, relaxation, meditation and diet. Although Pilates engages both the body and mind, it does not seek to unify the two as Yoga does. There is no age bar for Pilates as it has helped many people with knee injuries and slip discs. Please note that obese individuals will not lose weight by doing just Pilates as they also need to include other forms of exercise. This is beneficial for those with a weak back and those who can't do intense exercises. Pilates is not a form of weight bearing exercise and it focuses only on one's core strength- hips, back, and abs. 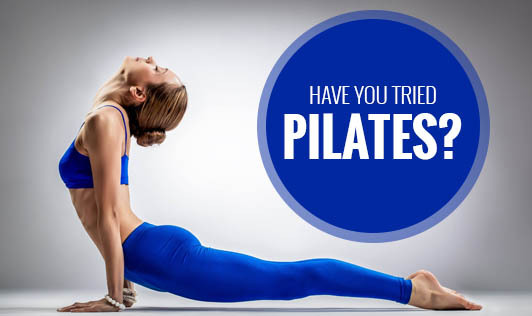 Remember that Pilates is complementary to your exercise routine and is not going to give you cardio vascular benefits; it is an addition to your exercise. Celebrities usually don't disclose it, but they practice other exercises as well. It's important to consult with a doctor before embarking on any new fitness program, especially if you have a pre-existing medical condition or if you have not exercised for a very long time.